After the Ball is an entertaining little comedy that takes a few elements of Cinderella and uses them to tell the story of a young fashion designer who manages to get a job at her father's design company, only to be ousted by her stepmother and stepsisters. With the encouragement of her aunt and her actor friend, she disguises herself as a young male designer and manages to get hired back at the company where she battles the evil forces out to get her/him, but with newly found self-confidence. I was expecting nothing from this movie, but my daughter wanted to watch it and it had a rating higher than one star on Netflix, so I figured why not. I was surprised at how much I enjoyed it. While it's predictable in the extreme, it's genuinely funny and moves along at a good pace, with a solid screenplay and likable characters. 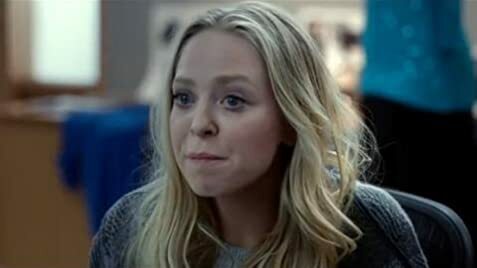 I had never heard of Portia Doubleday before watching this movie, but her performance is terrific. She's funny, sympathetic and simply a pleasure to watch. Don't expect a profound or earth-shattering experience, but if you are in the mood for some lighthearted fun, you could do much worse than After the Ball. Is a modern retelling of the Cinderella fairy tale. Elise: Don't talk in unison. It's creepy. When Kate is leaving for her first day at Kassel we see Bella place a pink scarf around her neck as she gets into a taxi but when Kate arrives she is wearing a leopard print scarf.